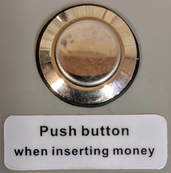 Press and hold down button when inserting money. 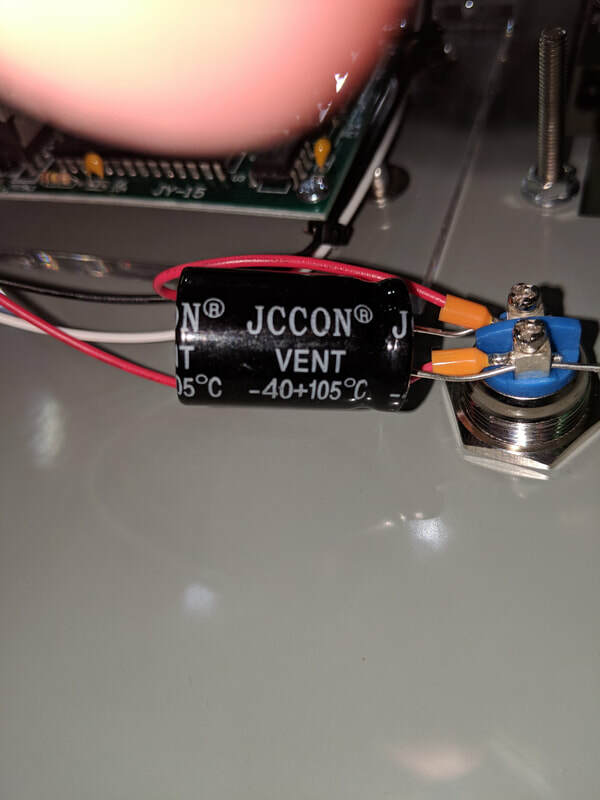 For the button to function as intended the button capacitor must be operational. In order to replace unscrew two bolts from back of button. 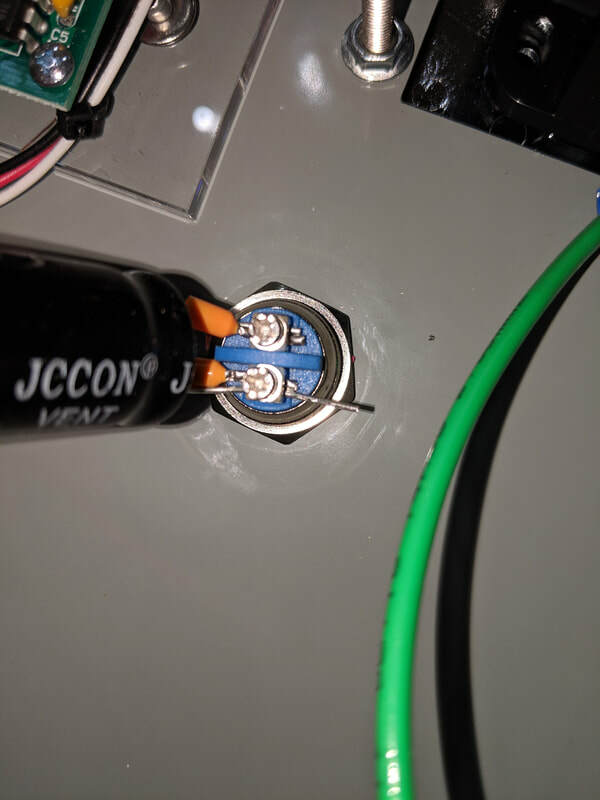 Insert prongs of capacitor into each button screw holder. 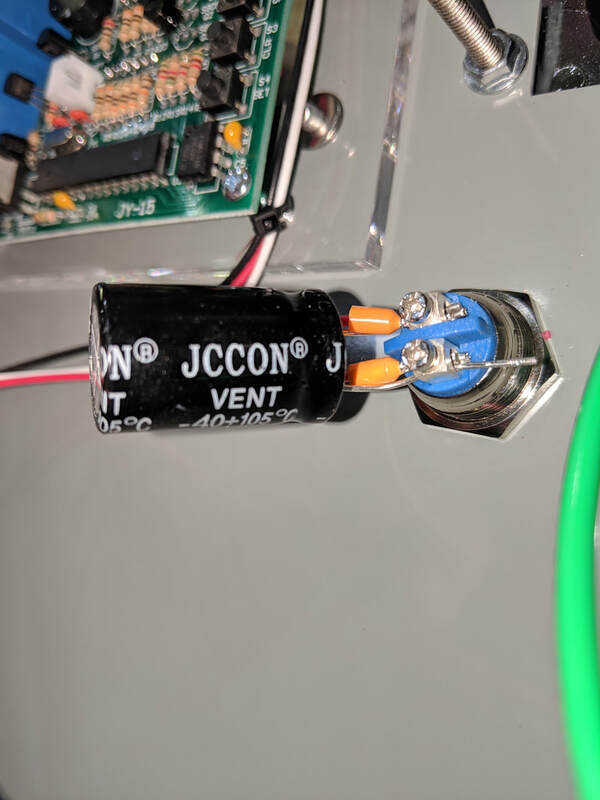 The long prong of capacitor must be closest to power supply usually on the bottom position. 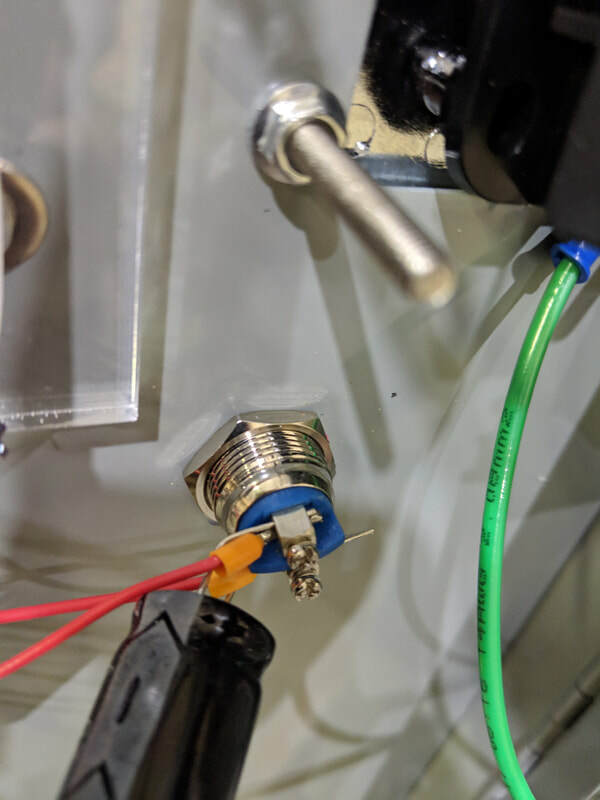 The shorter prong of the capacitor usually on the top of the button closest to the coin acceptor, must be inserted and screwed down tightly.